GSM Service Data Matrix - Varna, Bulgaria - We offer quality GSM Software and Hardware Support: GSM Cellular Mobile Phones and Mobile devices repair, GSM Unlock, GSM Software Installation, and etc. GSM Repair - Software, Hardware and Solutions for Unlocking, Repairing and Flashing GSM Cellular Mobile Phones and Mobile Devices. We work more than 10 years in the field of GSM Services. We offer the full range of services for GSM and Mobile Devices. GSM Service Data Matrix - Varna, Bulgaria works with the leading GSM Shops in Varna and in Bulgaria. We offer discounts for regular clients, GSM shops and other corporate clients. We can help you online - please contact us. GSM Service Data Matrix - Varna, Bulgaria - We repair all kinds and models of GSM Cellular Mobile Phones and Mobile Devices professional and fast. We offer high quality GSM Cellular Mobile Phones hardware support and GSM Cellular Mobile Phones repair. We repair all kinds and models of GSM Cellular Mobile Phones and Mobile Devices: Test and Diagnosys; Профилактика на GSM апарати; Почистване на GSM апарати; GSM Repair; Change of electronic components - processors, flash memories, and chips, and etc. ; Change band cable; GSM Covers change for all widespread GSM Cellular Mobile Phones; Change GSM display; Change GSM Cellular Mobile Phones microphones, speakers, GSM keyboard repair; GSM Chargers; GSM Batteries. GSM Service Data Matrix - Varna, Bulgaria offers GSM Unlock and professional unlocking services for of all kinds and models of Mobile Phones and Device. With GSM Unlock you will be able to use your GSM and Mobile Phone anywhere in the World with the GSM Operator you preffer. We Unlock Mobile phones, blackberry, nokia, motorola, samsung, siemens, sonnyericsson, lg, and etc. We provide information for GSM unlock and cell phone unlocking. Unlock your cell phone so that it can work with any GSM network. We can help you with information and online consulting about GSM Unlock. For more information on unlocking GSM cell phones, please send us an enquiry. GSM Service Data Metrix - Varna, Bulgaria offers high quality Software Services for GSM and Mobile Devices. 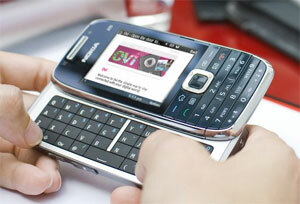 We offer GSM Software Services and Support for all kinds and models of GSM and Mobile Phones. We offer the full range of services for Software Support of Mobile Phones: GSM Unlock, GSM Unlocking advise and consulting, GSM Language Packages Installation, new GSM Software version installation, reinstall the GSM Software, GSM and Mobile Phones Applications Installation, Backup of the Information and personal data from your GSM and Mobile Phone, Information tranfer from one GSM to another, Information extraction from unworking GSM and Mobile Phones. GSM Software Installation - GSM software LG. GSM software Nokia. GSM software Motorola. GSM software Samsung. GSM software Sonny Ericsson, and etc. With this Guide you will manage to Jailbreak and Unlock iPhone 3G OS 3.0 using RedSn0w and UltraSn0w in Windows. Copyright © GSM Service Data Matrix. All Rights Reserved. Web Design: Gluon Technologies Ltd.